Quote: Venezuela is a country facing an uncertain moment in its history. Reports suggests it is in significant need of humanitarian aid. 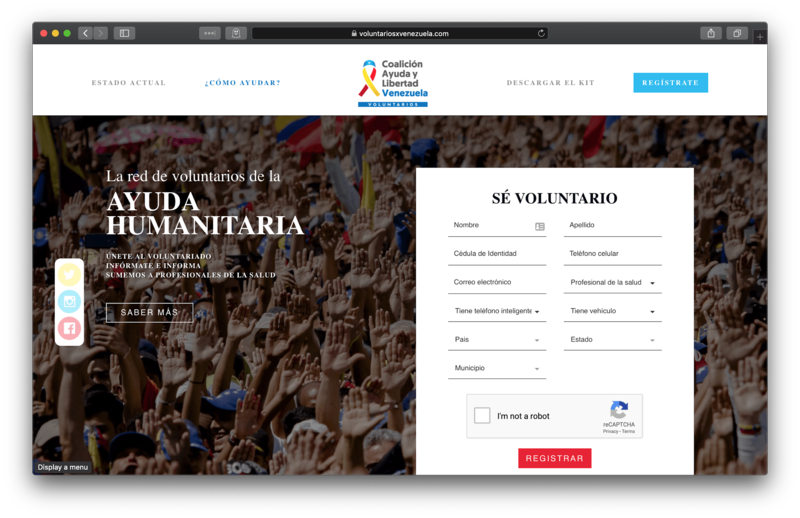 On February 10th, Mr. Juan Guaidó made a public call asking for volunteers to join a new movement called “Voluntarios por Venezuela” (Volunteers for Venezuela). According to the media, it already numbers thousands of volunteers, willing to help international organizations to deliver humanitarian aid to the country. How does it work? Volunteers sign up and then receive instructions about how to help. The original website asks volunteers to provide their full name, personal ID, cell phone number, and whether they have a medical degree, a car, or a smartphone, and also the location of where they live. Current time: 19 April 19, 20:59 Powered By MyBB, © 2002-2019 MyBB Group.